The Trajan 1408 14" Vertical Bandsaw is specifically designed for shop or production metal cutting applications. 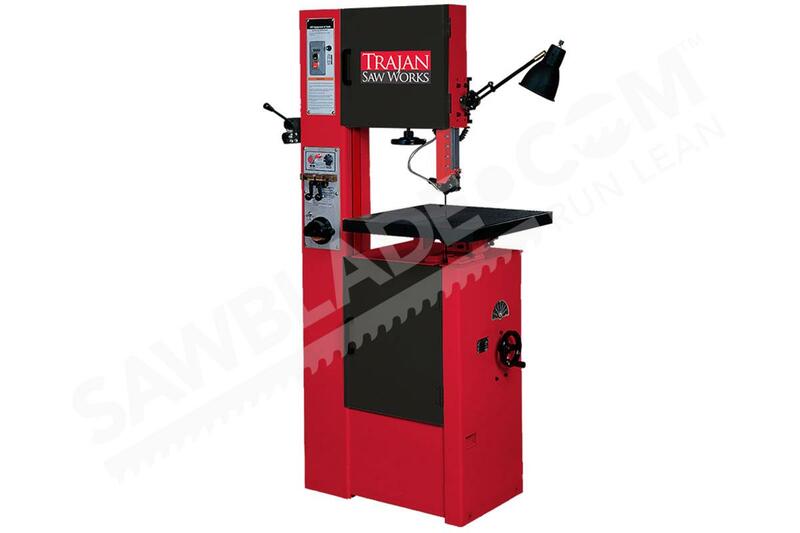 This variable speed bandsaw provides proper adjustments for high efficiency cutting. The easy to read blade tension indicator and multi-tilting worktable make for easy adjustments in cutting. The heavy-duty, enclosed steel frame reduces vibration. Standard equipment includes: blade welder, grinder, and cutter; worklamp, chip blower, and a blade and tire cleaning brush.